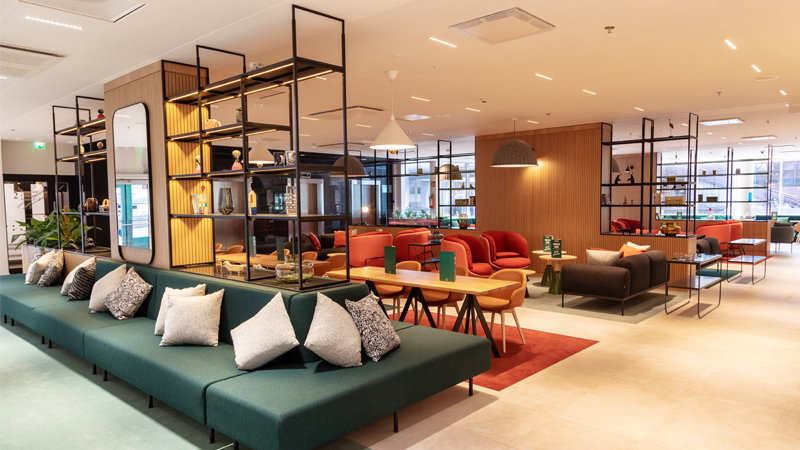 Holiday Inn Helsinki – Expo has opened its doors following a complete revam. Messukeskus’ own event hotel offers a relaxing setting for recharging between event days. The Holiday Inn Open Lobby combines traditional restaurant-, lobby- and office areas into a uniform living room-like space. The customer can choose whether to dine in the dining room or elsewhere in the Open Lobby area. The Open Lobby Media Lounge and Pop Up Lounge are multifunctional spaces that can be converted into a small meeting spaces or a movie theatre that offers a bit more privacy. In addition to comfortable sofas, the space has TVs, magazines and newspapers.